Jane Ellen Leach, age 82, Monday April 1, 2019 at OSU Medical Center. Born in Columbus on February 23, 1937 daughter of the late, Robert and Margaret (Mullen) McCaffrey. A graduate of Hoban Dominican High School in Cleveland, OH. Also a graduate of Kent State University with a BA in English and Education. A member of Alpha Chi Omega Sorority. She taught English and Drama at Solon High School for five years and then did graduate work at The Ohio State University in English. She was director of high school Religious Education at St. Agatha Church and Director for Religious Education for Our Lady of Victory Church for 20 years. She served on several Diocesan Religious Education committees. Survived by her husband of nearly 55 years, John J. Leach; children, Ellen Leach, Theresa Williams and John J. Leach, Jr.; grandchildren, Elizabeth and Lauren Williams; son-in-law John F. Williams; sister-in-law, Peggy Corbett Powell; and Corbett nieces and nephews. A longtime book club member, avid reader and lover of music, ballet and the arts. Friends may call 4-7 p.m. Thursday at the EGAN-RYAN FUNERAL HOME NORTHWEST CHAPEL 4661 Kenny Rd. Mass of Christian Burial will be held 10 a.m. Friday at St. Agatha Church Northam and Andover Roads. Burial to follow at St. Joseph Cemetery. 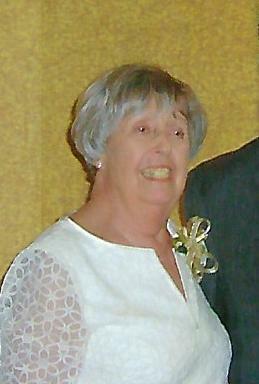 In lieu of flowers friends who wish may contribute in her memory to St. Agatha Church 1860 Northam Rd. 43221-3258.